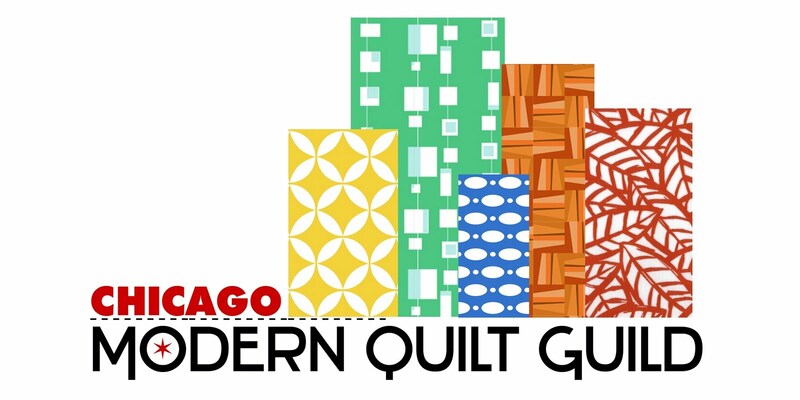 The Chicago Modern Quilt Guild: NEW LOCATION for OCTOBER Meeting!! NEW LOCATION for OCTOBER Meeting!! The Season Evans Lecture and meeting will take place at Dominican University on their Priory Campus (exact address below) in their Priory Aula Auditorium. It is 2 miles north of our usual meeting space on Division just west of Harlem Ave in River Forest. There is ample free parking all around the ring of the Priory Campus, in the small lot right next to the auditorium and in the parking lot to your right (next to the soccer fields) as you drive into campus (the lot on the left by the playground is NOT parking for our meeting). All meetings are 2-5 pm on the third Sunday of the month, unless otherwise noted. A list of our meetings can be found here. Not a member, but would like to be? Click the button below to join our Guild! Welcome to the Chicago Modern Quilt Guild's Blog! Stay up-to-date on all our meeting projects, upcoming meetings and events, and get to know our members! We meet at the Centennial Room on the 2nd floor of RUSH Oak Park Hospital, located at 520 S. Maple Ave. in Oak Park Illinois. If you would like to read a bit more about us, please do so here.